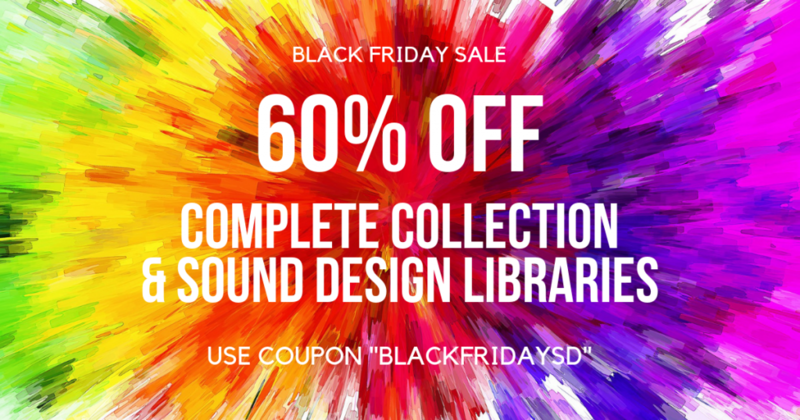 As mentioned in our interview with sound designer Nikolay Overchenko, all of our sound design libraries are on sale. Also, our Complete Collection (11,649 sounds, 46 sound libraries, 100 GB) is now $332. That’s a saving of over $700! We put this library on sale once every 2 years or so, so now is the time to grab it! This sale ends on Cyber Monday, November 26. View all sound design libraries.